Can a Roth IRA Double as an Emergency Fund? Blog & Social Media | Featured | Can a Roth IRA Double as an Emergency Fund? It’s hard to come up with many financial tools that we like more than Roth IRAs. What are the best features? Distributions from Roth IRAs in retirement are tax free. The distributions aren’t reflected as income on your tax return, so taking money out of a Roth doesn’t bump you into a higher tax bracket, effect the taxation of Social Security benefits, or impact your ability to qualify for deductions that are subject to phase-out limitations. Roth IRAs are an efficient way to pass on wealth to heirs. Unlike traditional IRAs, which are taxable to the beneficiary when distributions are made, distributions from inherited Roth IRAs are tax free. As a result, beneficiaries of Roth IRAs receive all of the account, rather than the portion that remains after income tax. Roth IRAs are more flexible than most retirement accounts. When the creators of the Roth IRA wrote the code, they left legal loopholes to allow account owners to utilize the accounts prior to retirement without penalties. Two of our favorites include the college expense exception and first time home purchase exception. The owner of a Roth can pay for their own college expenses and those of their spouse, children, grandchildren, and great grandchildren prior to age 59 ½ without an early distribution penalty. First time home purchasers can withdraw up to $10,000 once in their lifetime for a down payment penalty-free and tax-free, as long as the Roth is at least 5 years old. The account owner can apply the privilege to children or grandchildren, too. Recently, we’ve been considering the benefits of thinking of Roth IRAs as secondary emergency funds. In specific cases, there’s merit to the idea. The strategy is best used for someone who has a good financial foundation, with ample emergency savings set aside in a safe, accessible place. Given record low interest rates, cash, money markets, and CDs are costly in terms of keeping up with purchasing power and long-term inflation. 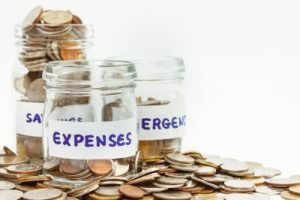 Those who have 3-6 months of emergency savings in place and are taking advantage of matching contributions through employer-sponsored retirement plans could considering funding a Roth IRA with additional “emergency money” that they don’t necessarily wish to tie up in traditional retirement plans for the long term. What makes the idea work? The rules regarding the order of distributions are the key. When taking funds from a Roth IRA, the IRS has specific rules as to what money comes out first. (See them here.) The good news for investors: contributions come out first. Remember, Roth IRAs don’t provide a tax deduction when money goes in, so the money that has been contributed has already been taxed. When it comes out, it doesn’t get taxed again. Because the tax code provides that contributions are distributed first, it’s a non-taxable, penalty-free distribution. Bottom line: Roth IRA account owners can enjoy the benefits of tax-free savings for retirement utilizing a Roth while keeping in mind their ability to access what they’ve contributed if needed. It’s like having your cake and eating it too; all the benefit of the tax-free retirement savings tool and the flexibility of an emergency fund to boot. Andrea L. Blackweder, CFP®, ChFC and Joseph D. Clemens, CFP®, EA are the founders and partners of Wisdom Wealth Strategies. Their shared passion is simple: to bring financial empowerment, understanding, and peace-of mind to people who wish to improve their financial future, build wealth for their families, and achieve financial independence. Click here to find out more about how you can work with Wisdom Wealth Strategies.